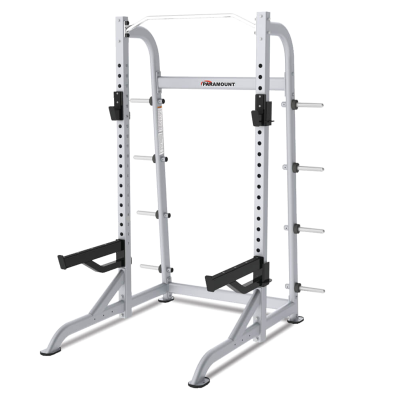 Hampton Fitness’ 2- and 3-tiered kettle bell racks are highly space-efficient. Each tier is specifically angled to make loading and unloading extremely easy and very safe. 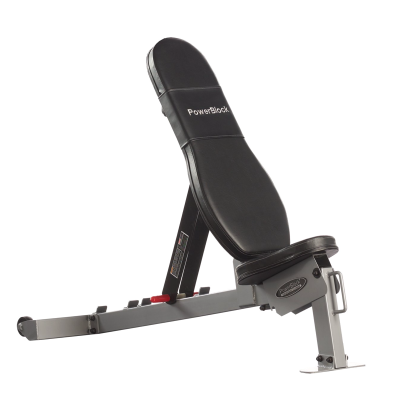 Contact Fitness Gallery at 303-399-1000 for lowest pricing. Solid, stable and durable, Hampton Fitness’ 2- and 3-tiered multi-purpose Kettle Bell Racks are designed to hold their Urethane Coated Kettle Bells, as well as their Iron Kettle Bells. The 2- and 3-tiered designs are highly space-efficient. Each tier is specifically angled to make loading and unloading extremely easy and very safe. 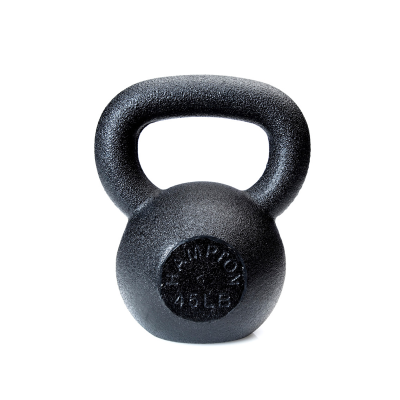 Store dumbbells or kettle bells, or simply mix and match them up as desired. One tier for this and the other tier – or two – for that. You decide. 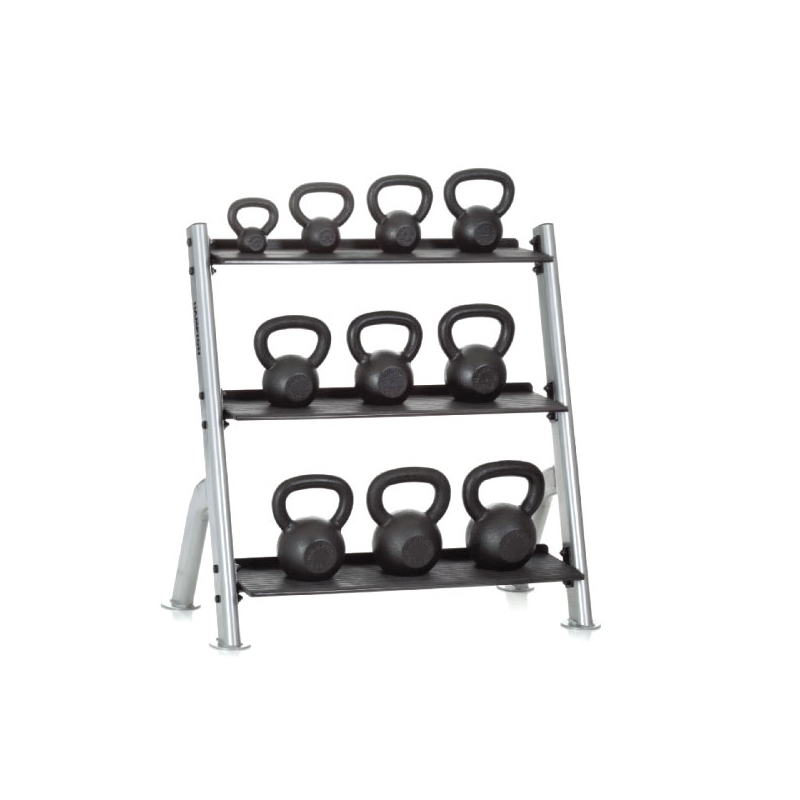 Additionally, their unique HKB-POD rack holds any variation of 6 different Kettle Bell styles. 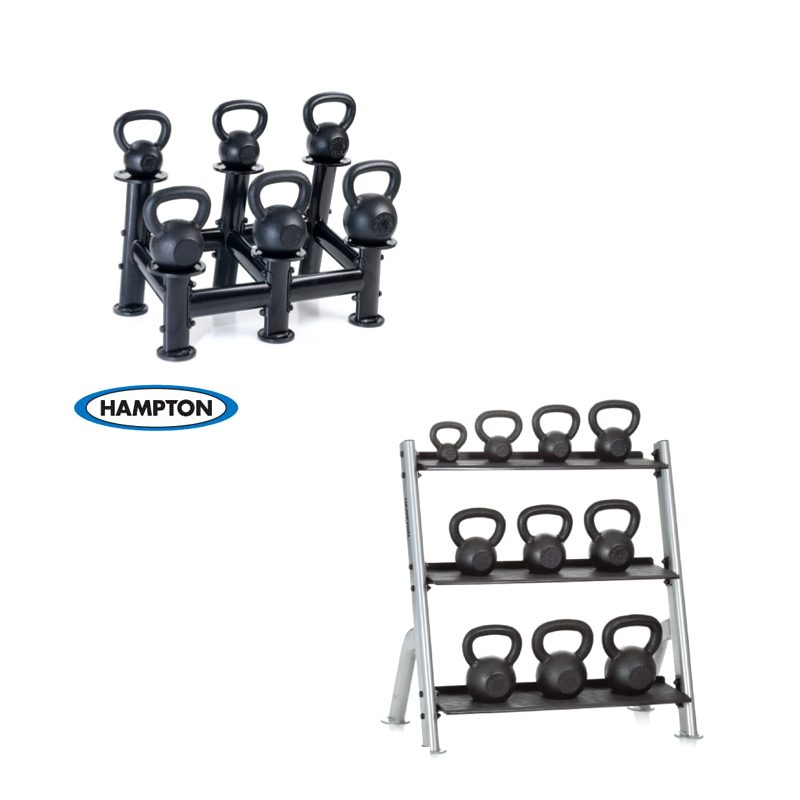 Hampton’s home and vertical market version the KB-3T will accommodate a single set from 5 pounds to 50 pounds. 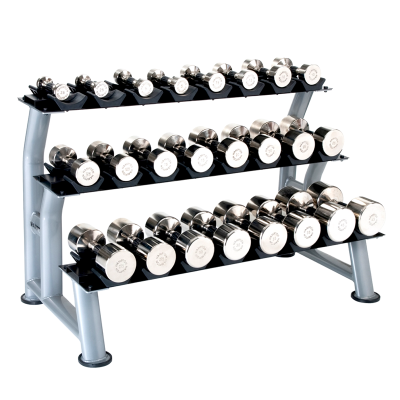 Hampton Fitness was founded on the idea that free weights aren’t a “necessary evil” for fitness facilities, they’re an essential part of the foundation of any gym. 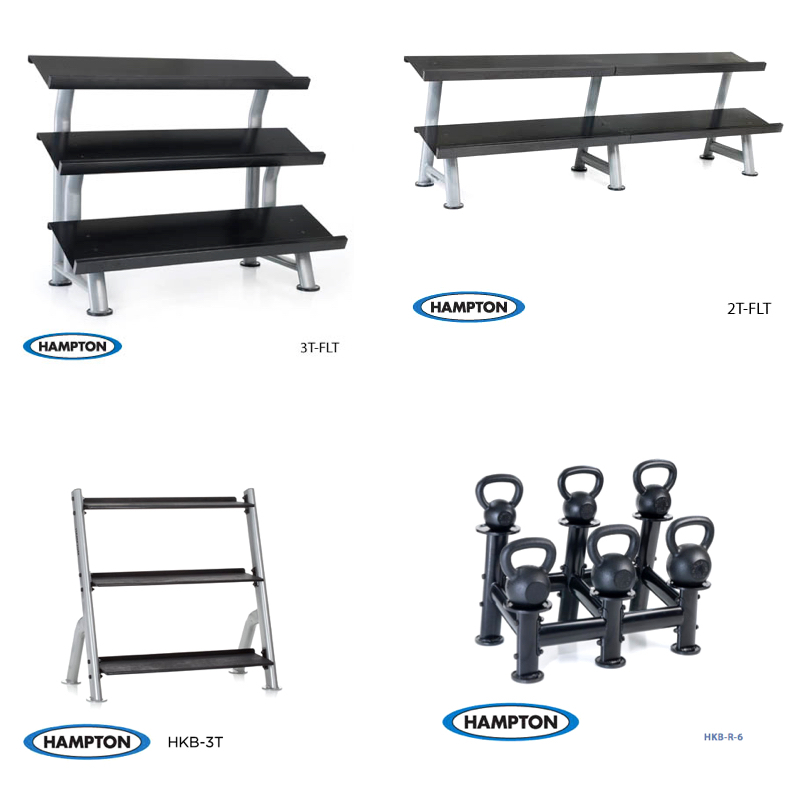 Hampton’s founders had years of experience in iron and steel manufacturing before entering the fitness industry with the launch of Hampton Fitness in 1996. 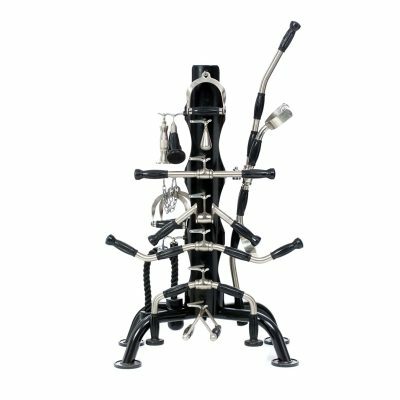 The company’s dedicated team of fitness equipment experts is headquartered in Ventura, California, and Hampton free weight products are sold all over the country. 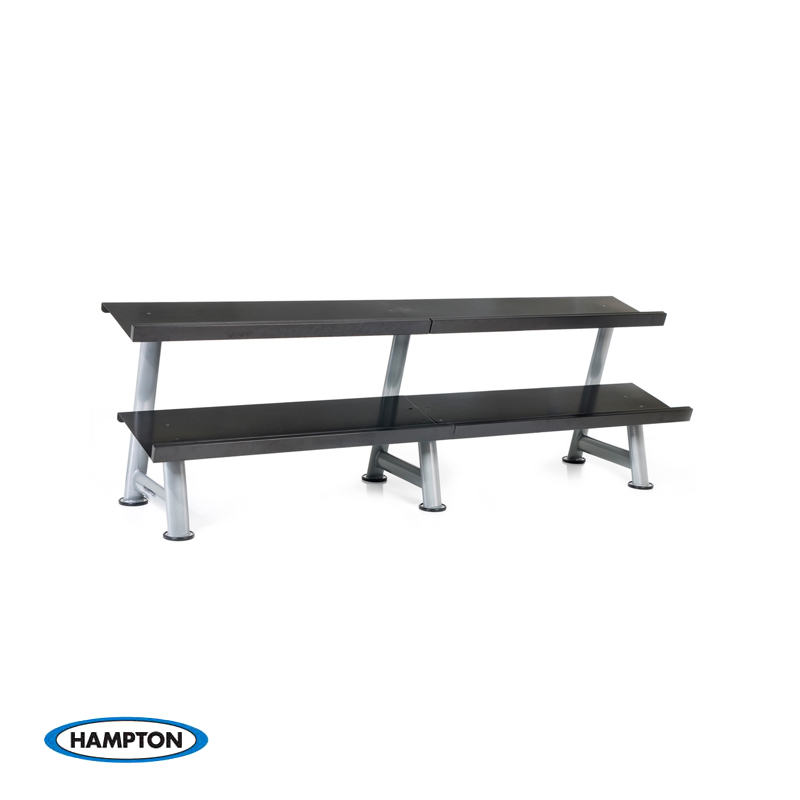 It’s this strict attention to detail that sets Hampton products apart.